BCCM develops the evidence base necessary for advocating on behalf of our members and the wider sector, and for identifying the issues co-operatives and mutuals face. It was only when BCCM began work with the University of Western Australia in 2014 that the size, reach and contribution of the Australian co-operative and mutual sector was first revealed. 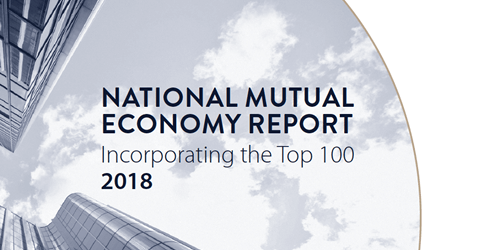 Produced annually in conjunction with the University of Western Australia, the National Mutual Economy Report maps the size, reach and contribution of the co-operative and mutual sector. Women had equal voting power in co-operatives decades before the success of the women’s suffrage movement. This report looks at the current position of gender inclusion. 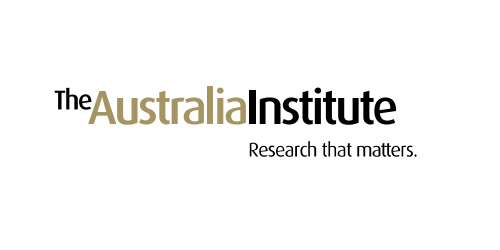 What is the best way of delivering public services in Australia? A dichotomy is often presented between government ownership and privatisation, but there is a third way: employee-run public service mutuals. 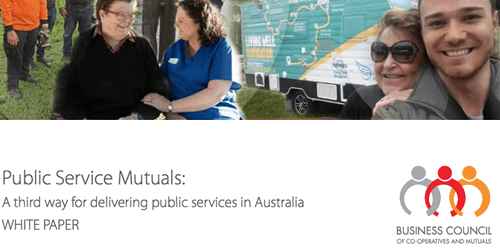 Australian co-operatives and mutuals create broader value not captured in financial reports, such as building resilient communities, thriving local economies and the delivery of public services. 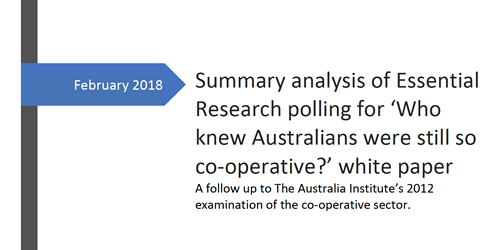 A February 2018 follow up to The Australia Institute’s 2012 examination of the co-operative sector. 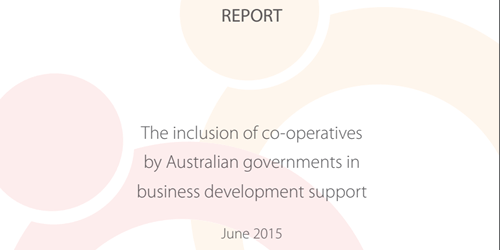 In 2012, The Australia Institute measured the size and scope of the co-operative and mutual sector in Australia. 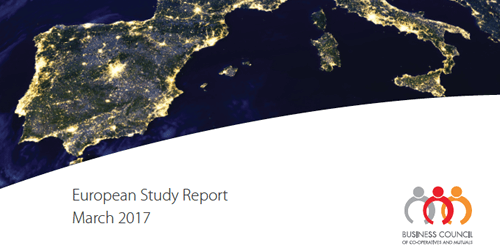 In 2016 the BCCM received funding from the EU Centre for Global Affairs, Annual Grant Program, University of Adelaide, to research and report on innovative, best practice examples of public-private partnerships for economic development and regional co-operation involving the co-operative and mutual sector in Europe. 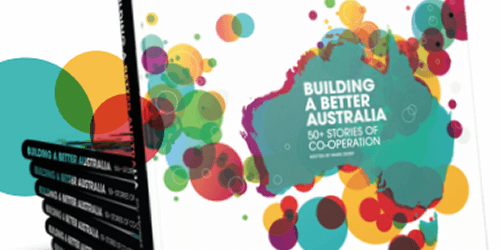 Created in 2012 to celebrate the International Year of Co-operatives, this coffee-table book features 50 case studies from around Australia. You can purchase a hard copy of the book at The Co-op’s online store. This report primarily investigates the inclusion or otherwise, of information about co-operatives on government websites relating to business development, and the inclusion of co-operatives in the criteria for funding programs for business development. The BCCM works closely with universities and researchers to increase research into the Australian co-operative and mutual sector. 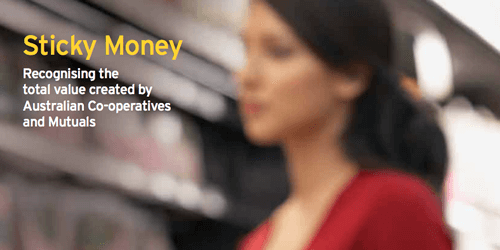 The Co-operatives Research Group provides a forum for research into and teaching about all forms of mutual organisations, including; consumer, social, worker, finance, producer co-operatives and other membership based democratic organisations. CRG has produced: Co-operatives in Australia: Growth, decline and revival – Visual Atlas. Throughout the year, the the Co-operatives Research Group hosts seminars and events. BCCM has partnered with the Monash Business School’s Department of Accounting to create an industry value framework for co-operatives and mutuals termed a Mutual Value Measurement (MVM). The project totals $1.1 million, including a $0.6m contribution from industry. Internet platforms have a growing impact on our lives. The benefits of platforms are clear, but there is also a negative side such as the exploitation of labour we are seeing in gig economy apps. Co-operatives may provide a response. Over the next two years Professor Emmanuel Josserand and his colleague Associate Professor Sarah Kaine will be working on COOP 2.0, a research initiative which aims at finding practical strategies, modes of organisation and business models for the co-op movement to embrace disruption for the benefit of society. The research project was launched at the 2017 BCCM Leaders’ Summit. Professor Josserand discusses the project in this video. 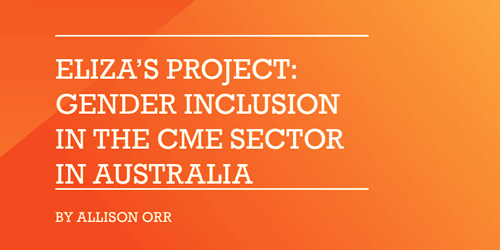 BCCM has partnered with independent think tank, Per Capita again in 2017 to undertake research into disability inclusion in Australian CMEs. BCCMs previous collaboration with Per Capita was the gender inclusion research Eliza’s Project.